Every great adventure starts with a great deal! Make your upcoming Fall adventures even more exciting with a great deal on your favorite Jeep. 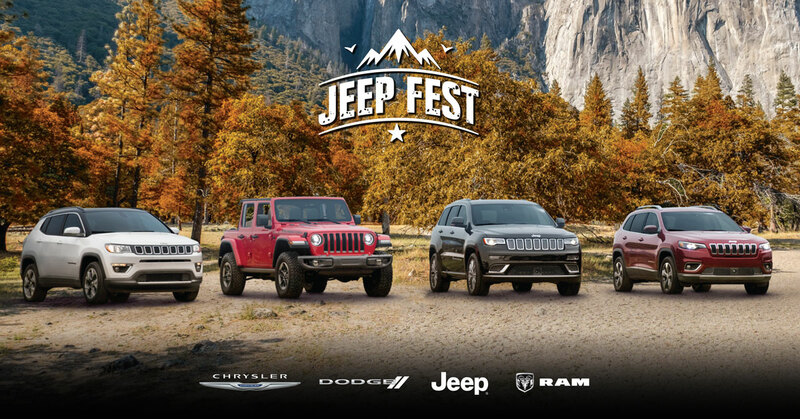 Request your exclusive U.S. Military pricing during Jeep Fest and save up to 24% off MSRP. You can also receive up to $500 in additional savings! Don’t wait, these offers are only around until October 8th. †Savings up to 24% off MSRP based on 2018 Dodge Journey SE FWD (Rec Buy D820) and vary by model and delivery location. Additional added bonus up to $500 vary by model. Offers valid 9/28/18 through 10/8/18. Overseas Military Sales Group is an authorized contractor of the Exchange and NEXCOM. Military AutoSource is an authorized distributor to sell and distribute Fiat Chrysler Automobiles vehicles. This advertisement does not express or imply endorsement by the Exchange, NEXCOM, DOD components, or the Federal Government and is not sponsored by them.